Our children’s Summer Sundays program in our local parish this year, “I Believe,” revolves around the Apostles’ Creed and the Church Year, those “tides” or seasons that teach us the creeds. We sing “Advent Tells Us Christ is Near,” we read a story about the creed, we plant sunflowers in bright pails, we blow big balloons, we color and we craft. We make fridge magnets with the verses of our hymn to take home. As we dropped seeds into the dark soil, pushing each one deeper into its loamy home, to one day shoot into the bright light and flower, I thought about belief and faith and the Apostles’ Creed, our statement of belief. Would these children be allowed to practice their beliefs? Would the state intervene and silence them, force them underground? Some say believers are already underground, for belief in Christianity is not fashionable, even considered radical and strange. We are called bigots, narrow minded, living in a fantasyland, stuck in the past. And yet, for many of us, there is ample historical evidence for the resurrection of Christ and his divinity and the authority of Holy Scripture. We have known the Almighty God through prayer and met him in the Eucharist. We have seen his Holy Spirit working through others, nudging and guiding. We have opened our hearts and experienced the glory of God’s grace. These are no small things. This is good news, worthy to be published and proclaimed and protected, news to give hope to our world, news to tell our children, unafraid, with thanksgiving. This good news, gospel, deserves proclamation – and defense – in the public square. And yet such proclamations are increasingly discouraged. To be faithful to traditional marriage and family, clear Scriptural mandates, is considered unfeeling of those who view marriage differently. Rational debate, healthy debate, is pressured into silence. The recent Supreme Court decision redefining marriage cites the “right to dignity,” a right not found in the Constitution. The judiciary has legislated law, a prerogative of Congress, the people’s representatives. And if we object to this massive assumption of power by five appointed lawyers from elite schools we are branded “bigots” and deemed “intolerant.” And yet, who are the new intolerant? I believe in freedom of religion, and that our nation still believes in this fragile and threatened freedom. We were founded on this principle; it is who we are. I have no desire to impose my beliefs on others, but I have a sincere desire, even a mandate, to live according to those beliefs, and to teach my children those beliefs. 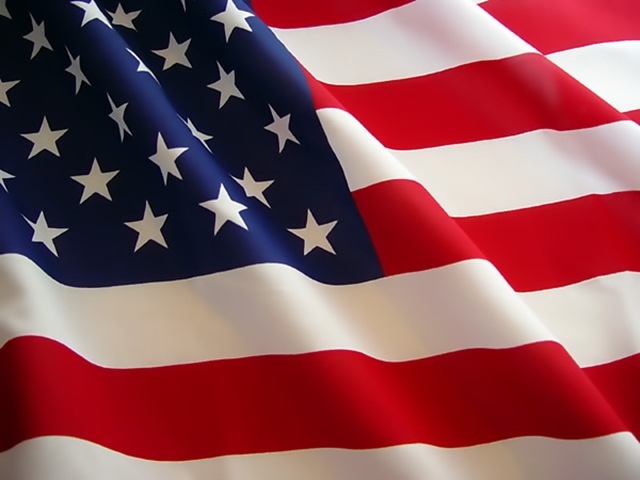 Our stars and stripes and our fireworks, our hot dogs and chips and beer, our parades and our picnics every Fourth of July proclaim our diversity of race and religion. Our flags wave proudly reminding us that we are a peaceful people who debate our differences with respect for one another’s beliefs. And so, this fifth of July I pray for peace within our diverse peoples. I pray that this Supreme Court decision does not give license to the silencing of our conversation. I pray that we may worship in our local churches and temples without fear, that we may keep God’s law, writing it on our hearts and in our deeds. I pray that we will be respected and not slandered for our witness to the truth of God and man and woman. The Court decision has divided us, not unified us. It has harmed us. It has encouraged a sudden silence across our exceptional land, and lining that silence is fear. 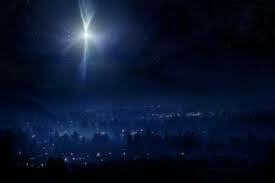 Advent tells us Christ is near: Christmas tells us Christ is here./In Epiphany we trace/All the glory of His grace. Then three Sundays will prepare/For the time of fast and prayer,/That, with hearts made penitent,/We may keep a faithful Lent. Holy Week and Easter, then,/Tell who died and rose again:/ O that happy Easter day! “Christ is risen indeed,” we say. Yes, and Christ ascended, too,/ To prepare a place for you;/ So we give him special praise,/ After those great forty days. Then he sent the Holy Ghost, /On the day of Pentecost,/ With us ever to abide:/Well may we keep Whitsuntide. Last of all, we humbly sing/ Glory to our God and king,/ Glory to the One in three,/ On the Feast of Trinity. Next week in Sunday School life will sprout through the dark soil in the bright pails. We will learn about God the Father and how he created the heavens and earth, the trillions of stars he named, how he made you and me, mothers and fathers and children. This entry was posted in Uncategorized and tagged Apostles' Creed, belief, Bethlehem Star, Christ, Christian, church year, Faith, freedom, God, Marriage, praise, religion, right to dignity, songs, speech, Sunday School, Supreme Court. Bookmark the permalink. Thanks so much Julie and Monty for your encouragement in this most challenging time for Christians. And again you have touched on the heart of the matter. The legal, political, and social leaders of our society increasingly divide us to conquer and control us, to lead us away from Christ. There is no longer a strong Anglican or Protestant voice in the public square. And, even more saddening is the subversion of the Roman Catholic voice. Six Supreme Court Justices and over thirty per cent of the U.S. Congress are Roman Catholic and they acquiesce in or actively support the veiled attacks on Christianity. It is dismaying! I am so glad that you are writing the novels that speak for the Faith. You proclaim the Gospel in ways that most of us can not. Thank you. Always enjoy. Thank you Mrs. Sunderland. As always you are right on.